Our Centre of Excellence for Art and Design launched in September 2017. This means students now benefit from redesigned, flexible workspaces and increased specialist teaching as part of our fantastic facility. 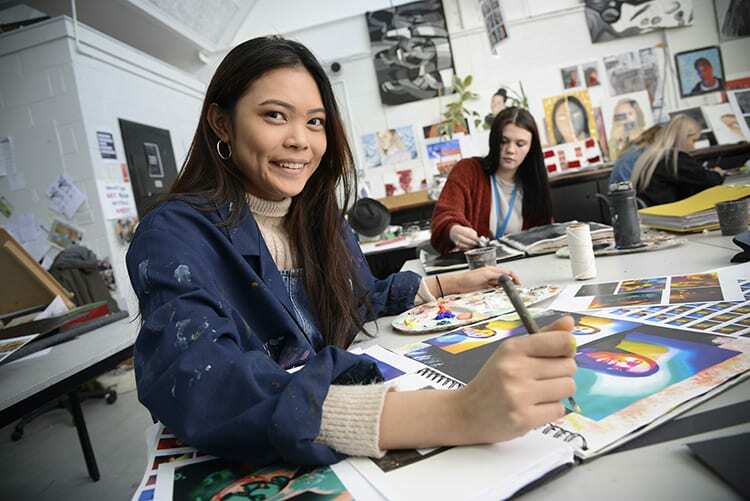 Courses from both campuses have united on the Rating Lane site, with students able to choose from Cambridge Technical and A Levels in Art and Photography right through to BTEC Art Foundation and HND Art and Design. Tutors have combined their expertise in Fine Art, Design and Animation, Photography, Graphics, Ceramics and Textiles to ensure the highest quality teaching. A new iMAC computer suite is now open, in addition to a photographic studio, a dedicated room for printing and a creative textiles room.